Using hydradermabrasion and a patented 4-in-1 vortex technology, HydraFacial MD combines cleansing, exfoliation, extractions and hydration into one completely rejuvenating experience. This combination of treatments improves the appearance of fine lines, wrinkles, brown spots, and congested and enlarged pores, and is suitable for all skin types including dry, oily, thin, aging, and acne-prone skin. The HydraFacial experience lasts about 30 minutes and causes no discomfort or need for downtime. Treatments may be done as often as weekly or monthly, but a personalized regimen can be created based on your specific skin type and skin care goals. A one-time HydraFacial treatment is also the perfect choice when you’re looking for a fresh, glowing look for a special occasion. Hydration is the foundation of healthy, radiant skin. Irritation of the skin has been proven to increase signs of aging. The HydraFacial MD is a hydrating and non-irritating treatment. Many clients report seeing visible skin refinement and an even, radiant skin tone after just one treatment. 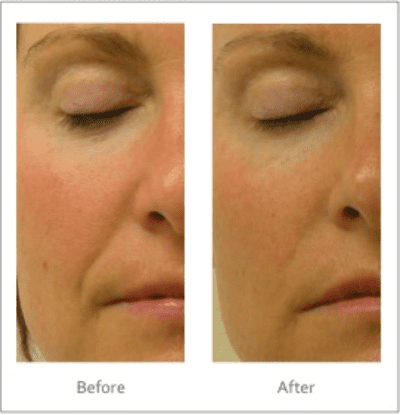 The smooth results and hydration may last 5 to 7 days or even longer. One treatment per month is recommended for improving the appearance of fine lines, wrinkles, hyperpigmentation, oily and congested skin. Continued HydraFacial MD treatments are highly recommended to maintain skin health results.